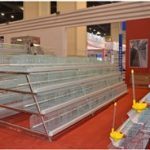 From the point of poultry equipment view, a capable poultry farmers knows clearly that a great deal of egg production depend upon many factors such as quality of layer cages for sale and reasonable configuration of your egg layer cages for sale in Philippines poultry market. Livi has organized a team that focus on researching and develop the technology of poultry egg production equipment of layer farming cages for sale in Philippines. When you are going to set up your chicken farms in Philippines, we believe that we are your reliable partner to supply you reasonable price and best quality of chicken poultry egg layer cage equipment. 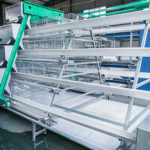 Let’s look at the detailed information of egg production equipment for layer cages system. A type and H type constitute the majority of layer chicken cage types. A type egg production chicken equipment are suitable for birds quantity about 10,000 to 25,000. And H type layer farming cages for sale are suitable for quantities above 50,000 flocks. All the egg production equipment can realize full automatic performance in your farms according to your demands in Philippines poultry farms. For egg laying birds equipment for sale, we recommend you to equipped with our most representative equipment of automatic egg collection system that matched with your egg layer battery cages system. It can not only uplift your egg production with characteristics of decreasing breakage rate of eggs , but also save your a half of working time than traditional manual ways of collecting eggs. In demand of Philippines modern poultry farming market, our equipment also possess automation poultry feeders and poultry drinking system, or you can choose semi-automation poultry farming supplies such as manual poultry feeder barrel to lower cost. No matter what types of chicken farming supplies for sale you bought for your farms, it can all be able to promote your poultry farming business in Philippines.